If there’s any room in the home that deserves a facelift, it’s usually the kitchen. Kitchens usually play a major role in everyday life, and that means they can take a beating. The great news here is that a kitchen remodel can have a profoundly wonderful effect on the entire home. At ProSource® of Atlanta, we love helping trade pros and their homeowner clients make the most of their kitchen remodels. Cabinets take up so much wall space, their color, design, and material have a huge impact on the aesthetic of a kitchen. 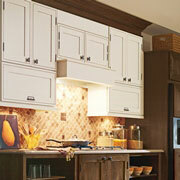 Turn to our huge variety of cabinets options for your kitchen remodeling project. When it comes to cabinet hardware, you need a solution that is both practical and beautiful. 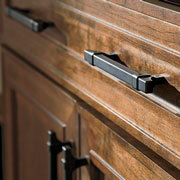 ProSource of Atlanta’s selection of cabinet hardware from the industry’s leaders is just what you need. Browse our handles, pulls, knobs, and beyond. Countertops should be a pleasure to see and use. 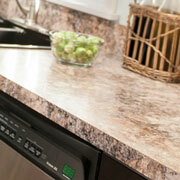 ProSource of Atlanta proudly offers materials like granite and quartz at wholesale prices. We also offer recycled materials for an eco-conscious approach. 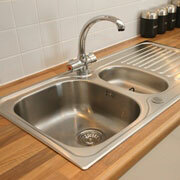 Using the kitchen sink should be both a convenience and a pleasure. ProSource of Atlanta offers large sinks, small sinks, undermount sinks, and more—all in a variety of materials and colors. 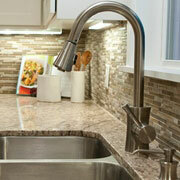 Kitchen faucets aren’t just about hot and cold water anymore. When you turn to ProSource of Atlanta, you’ll see the possibilities are actually much bigger than that, including pot-filler faucets, beverage faucets, and more.